Mission Embossable and All in the Family are now sold out! If there is something else that you were wanting please let me know as I will be placing another order tonight! Sorry for the short post...class lastnight, tonight, and tomorrow night! My stomach hurts from all the laughs! The best part about the card that I am posting today is that I cased it from someone whose blog I can't read a word of! I came across Silli's blog completely by accident. I saw a card that she had posted on Splitcoast and I proceeded to check out the rest of cards. Little did I know her blog was in German. 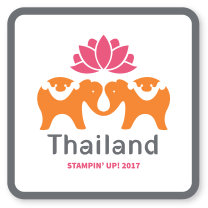 I love the fact that it doesn't matter what language we speak, or blog in, we all share the common love for stamping! This card is such a non-traditional Christmas card in its colour choices, but I thought it was stunning. I think that it was also the layout of this card that I fell in love with; it was so different the way that the center panel seemed to hang from the top of the card. I think that tonight's task will be to make a card using this as my sketch. I think that I'll challenge you to make a card based on this sketch too! Email me your pics by December 4th and I'll post them for you along with a special "gift" for the most creative entry! Remember, if you're the only one to send in your photo, you'll automatically get the gift! I just found out that the All in the Family Bundle is already sold out! Make sure that you aren't disappointed and place those sale orders as soon as possible! Any sale item orders placed yesterday I've already entered so you don't need to worry! The was a very quick and easy card that I cased from someone who is in our HUGE Colourful Impressions Group here in the Lower Mainlaind. Carrie Gaskin designed this card, and I loved the simplicity of it. I decided to add the white signo gel pen along the Rik Rak and to change the colour of the Happy Holidays stamp, but other than that I left it as is. This was such a great way to use up strips of DSP that were leftover and create an adorable card at the same time. I created the Rik Rak using the scallop border punch on a piece of cardstock that was 1" wide and 5.5" long. You first punch completely down one side, then flip it over and punch the other side off-setting the punch. This technique is so simple but provides an easy transition from DSP to solid cardstock or DSP to coordinating DSP. This was very popular at all of my Christmas stamp-a-stacks this year so don't be surprised if someone sends it to you for Christmas! It's here and it's fabulous! This was one sale definitely worth waiting for! I won't go on and on because I know that you won't be reading it. Just click on the image to be taken to the sale flyer... make sure you have your catalogue handy as it lists page numbers that you can see the items on ! Happy shopping! Remember, every $100 order earns you a $10 gift certificate whether you place your order on line or by phoning/ emailing me. I'll try to place orders as soon as people call/ email them in to ensure that the items that you want are still available. There are limited quantities so don't wait too long! 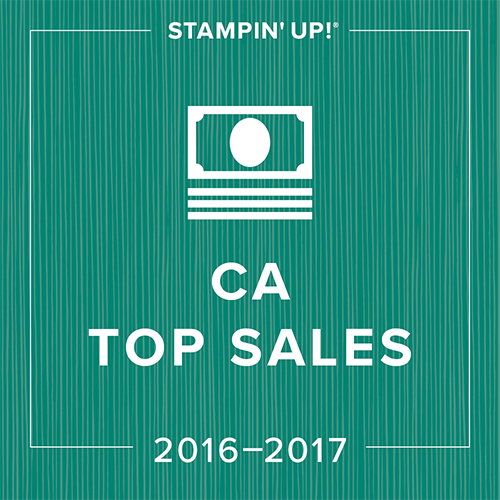 Starting Wednesday, November 26th, Stampin' Up! will be offering 20-50% off select product bundles (I still have no idea what will be is included... I promise it's killing me too!). You can be the first to see these bundles by checking out my SU website at http://www.stampinup.net/esuite/home/northshorestamper or by stopping by my blog. You can place your orders one of two ways, by using the online shopping on my SU website or my calling/ emailing me your order! *BE CAREFUL, SU has announced limited quantities of the bundles, so order early to avoid disappointment! I will be placing orders Wednesday morning as you email/ call or you can place them yourselves online. In addition, I will be giving $10 gift certificates with all purchases of $100 or more (before taxes and shipping). Don't worry if you place your order online, I'll send these out to you as soon as your order is confirmed. Yesterday I posted a card done by Dannie Graves that I adored as well as a new variation of the card. Today's card was another take on it just changing up the stamp used for the focal image. I love the set To You and Yours from the Mini Occasions catalogue; I can't believe how much use I've gotten from it. Unfortunately, as this is a set from a mini catty it is not guaranteed to make the next big catalogue. I would definitely take advantage of this set while it's around! Another item you won't want to miss out on is the Alpine Originals ribbon! I love this little set of ribbon. You get one roll of the ribbon used on this card as well as TWO rolls of the brown felt ribbon. SU from Start to Finish! If you 've followed my blog for awhile, you'll probably recognize this card using the Bugs and Kisses stamp set. I've really had a lot of use from this set as I have two little boys in preschool and the birthday parties seem to be never ending. When I first joined SU I was hard pressed to order envelopes from them because as far as I was concerned, an envelope was an envelope. Well, as long as you're never going to stamp on them, that's probably the case. If you do like to make matching envelopes there is no comparison! It's the same quality as the Whisper White cardstock so your images are sharp and it absorbs the colour really well.... definitely worth the money! I came across a card on Dannie Grave's website that I absolutely adored (the Ruby Red and Brown). Now any of you DSP fiends out there will know, you only get two sheets of each pattern of DSP in your package, so although you may love a card, you've got to make sure that you love the other patterns as well. When I was designing my Christmas Stamp-a-Stack for this month, I decided to offer both cards. What I found is that there are people who are definitely in love with only one of the two colour combinations and it was pretty much fifty-fifty. Both cards used the same stamp set, To You and Yours, but I was able to change up the ribbon, DSP and even add felt flurries to the second card instead of the three brads in the corner. The top card was made to fit in the Carousel Notes chocolate chip envelopes as I had a number left over after making Carousel Notes purses. The Baja Breeze and Old Olive card was made as a 5.25" square to fit the Whisper White Square Envelopes. What's your preference? TWO AND A HALF DAYS UNTIL THE BIG HOLIDAY EXTRAVAGANZA ANNOUNCEMENT!!!!! The Start of Scrappin' Saturdays! 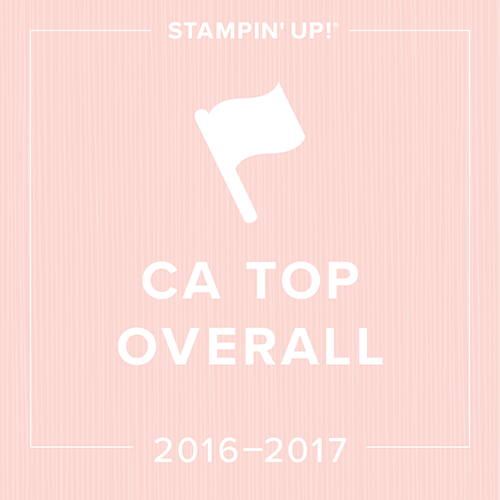 Although I actually got into this whole Stampin' Up thing because a friend knew I was an avid scrapbooker, my focus has shifted since March. I became ADDICTED to cardmaking. I've really enjoyed the fact that with the limited time we all seem to have that I could create a finished product in much less time than it took me to complete a 12x12 scrapbook page. 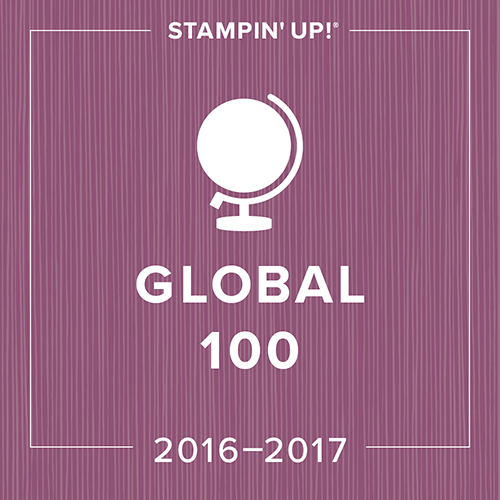 Well... it's time to get back on the old scrapbooking train, but this time I'm doing it in Stampin' Up style! I finally bought one of the Simply Scrappin' Kits and decided that I could no longer neglect my neice's scrapbook that should have been finished months ago (June to be exact)! When my nephew was born I made him a scrapbook and it has always been my plan to complete Sophie's; life has just gotten in the way! The Simply Scrappin' Kits are amazing in the sense that all of the die cut stickers, DSP, and cardstock already match one another. The time that it takes me to put a page together has been cut in half! On top of that, I have ribbons that match exactly so I'm thrilled with the final outcome of each page. As I have set a goal for myself to have this book complete by the end of January, I am going to be having "Scrappin Saturdays" to keep myself on schedule. Every Saturday I will post a picture of a 12x12 two page spread from Sophie's book. 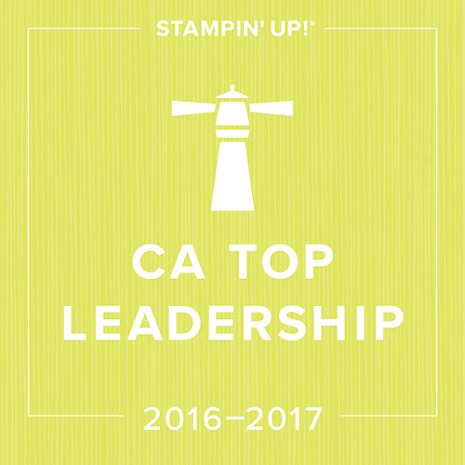 I will try and keep each page to Stampin' Up products,, but you may notice the occasional "contraband" (teehee) item on the page. I do still have my Cricut and the New Arrival cartridge that I didn't get enough use out of after my boys were born:) I did try and convince Sean to have another baby so that I could make more things with it, but he just didn't see that as a real reason... men!!!!!! This particular page is demonstrates a technique called "progressive scrapbooking". First you create a 6x6 scrapbook page and then mount it on an 8 1/2 x11 piece of cardstock and add embellishments. When that is complete you now mount on a 12x12 piece of cardstock and embellish again. This is a very easy way for someone new to scrapbooking to create a fabulous looking page! Growing up, my mother always stressed the importance of writing thank you notes to us. I grew up in North Vancouver, but all of my relatives were still back east in Thunder Bay. This meant many letters to grandparents, aunts and uncles thanking them for birthday and Christmas gifts. These days the internet has made it so easy to write a thank you to someone and send it off immediately, but in the spirit of old times sake and for a good reason to spend more time in my stamp room, I went down and made the 15 thank you's for Lucas' Birthday. I decided to stick with the Pacific Point and Real Red from his Thomas the Train invitations. It was so difficult to photograph this as the glare from the sparkes came making the entire picture appear white when the flash went off. I stamped the cupcake from Simple Birthday Thanks on Pacific Point DSP and then cut it out, while also separating the icing from the bottom of the cupcake. I then flipped over the bottom of the cupcake to show the unstamped side. I used my Thank You Kindly stamp set with the wide oval punch (a must!) to make the little Thank You on the front. I used my crop-o-dile to puch out the little spots on the icing and to allow the back Real Red to show through. My two way glue pen allowed me to get the glitter exactly where I wanted it. On the back of the Pacific Point cardstock I restamped the Simple Birthday Thanks image. This is a perfect stamp to allow a small child who is just learning to print, to personalize each thank you without making the task too overwhelming. Kits are $20 and I will put the first order through on Monday. They can even be shipped to you for an additional $5 s/h. I will have orders ready for pick up and ship all orders placed by Monday November 24th by December 3rd. Using Random.org I was able to pick a winner of the blog candy and Shelley, you won!! Thanks so much for all of your comments; it was great to find out who some of you are who come to take a peek! I think that just to satisfy my curiousity that I may have to make this a regular thing... that is at least every 5000 hits! Shelley, make sure to email me all of your mailing information so that I can get it in the mail to you ASAP. Thanks again everyone! Since I got into scrapbooking and stamping four years ago, my husband's shopping has become much more difficult. Although he has an endless list of items that I would love to have, the element of surprise has disappeared as I often have to go with him to show him exactly which items I've listed. In an attempt to return the element of surprise to Christmas, I will be offering a special promotion in the last two weeks of November (Nov 15th-30th). Ladies, your part in this is to email me your Christmas wish list, and pass on my email address or phone number (604-341-2950) to your husbands or family. Your husband's/ family's job is to contact me and I will help them select items from your wishlist. All orders of $50 or more will receive a 15% merchandise discount (taken off after shipping and taxes are calculated) All orders of $50+ will come gift wrapped when ready for pick up. Just a reminder that I also offer gift certificates for either merchandise or classes in specific dollar amounts. This offer ends November 30th so make sure to get your wishlist in! 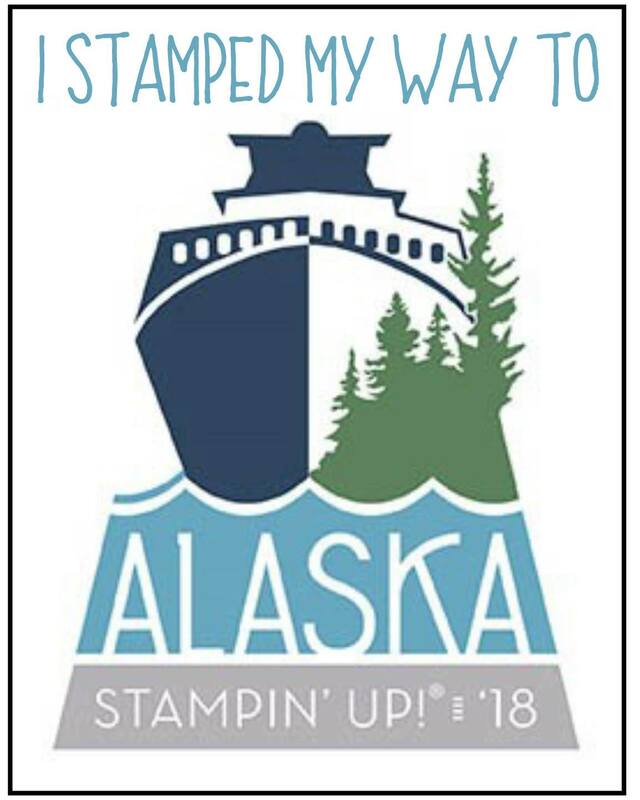 Orders are also available for shipment directly to your home (unfortunately they will not be gift wrapped as they will ship directly from Stampin' Up and a minimum $9.95 s/h charge will apply). *This promotion only applies to orders placed directly through me and not my online ordering as I am unable to apply the discount to your online order. This month's technique involved using our markers, watercolour paper and a blender pen to get a watercolour effect! I love the way that these turned out as it is a much softer finish than colouring them directly with markers. What we did for this process was to stamp the image in Black Staz-on ink on watercolour paper. We heat set it using the heat gun to allow us to get to work more quickly. Once the image was dry we used the fine tip of our marker to outline the image or highlight areas of shadow. Once that was done we used the blender pen to pull the colour from the outline into the center of our image. This was my first go round. They only improve as you practice, as your shadows become more and more realistic. I can't wait to show you the other card that I've been working on. I've never really pulled out my watercolour paper before, but when I tried this technique on my Whisper White cardstock it just got it all wet and pilly. The watercolour paper was PERFECT! I could definitely get into this technique. Well, I'm about 120 hits away from 5000, and for me that's a HUGE deal! I remember when my upline suggested that I start this blog back in March; I snickered to myself thinking, "who will ever bother to read it?" It is so exciting and so flattering that people take the time to check it! Anyway, I've decided to give away some great blog candy in honour of this great milestone for me! As you can see, I decided take the photo lastnight after I'd spent an hour cardmaking. (my desk was a mess), but I decided that it looked kind of cool in the photo. Again, I can't get this image to flip on "Blogspot" for the life of me. It is actually the right way in my files so I have no idea why it is flipping it! After you crank your neck, you'll be able to see that the bag contains the stamp set, A Little Bit of Happiness, the Fresh Favourites II eyelets, a package of Heat and Stick Powder, and finally a roll of the brown felt ribbon from the Alpine Originals set in the Mini Occasions Catalogue! When my blog reaches 5000 hits, I will draw from the comments placed between now and then. *If you are the only person who leaves a comment, then you are guaranteed to win it:) Thanks again! I have looked at my Always stamp set for a month and just never used it. I guess I bought it at the wrong time with all of my Christmas classes starting. When I was looking through my sample ring of Designer Series Papers today I came across my Always DSP and decided that it was time to put the Christmas cards aside. Reason for all this being that when I looked the DSP it was four colours I had never put together before (Pumpkin Pie, Regal Rose, Pink Pirouette, and Chocolate Chip) and it just looked interesting to play with. I love the fact that so many of the DSP's have a coordinating stamp set. Another item that I had yet to use was the amazing brown ribbon. I felt like it was too thick for many of the cards I have made, but Iam definitely feeling different now and looking forward to breaking all the other colours in! I think that I just might tuck this card away for Valentine's Day as I love the saying, "Always on my mind- forever in my heart". Although I love having sentiments stamped on the outside of my card, it is also nice to be able to put something on the inside. 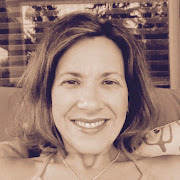 On a different note, although it may not seem like a big deal to you, it is HUGE to me, I am nearing 5000 hits on my blog. I would love to know who you are out there that are coming to have a look. Tomorrow I will be posting some AWESOME blog candy and all comment entries between now and the 5000 hit count will be entered in that draw. Thanks for coming to look; it means a lot to me! I have my second Christmas Stamp-a-Stack coming up on the 23rd of November! The first one was a huge success, and I actually ended up running three of the class! I've already got three scheduled for November as well! What tends to happen is that I have a group of people who register individually or with a friend for the class, and then there are others who decide that it would be a fun event to do with a group of friends so we schedule their own private event! These are just a few samples of the 8 cards that I am offering. You will get to choose three different designs and make 5 of each! It's just $15 for 15 cards! Remember that you need to register early to save a spot and to ensure that we don't run out of a card that you like! The earlier you register, you are open to choosing whatever you'd like as I can always order more supplies! I gave the card another whirl with some other colours. My plan was to change the Pacific Point to pink and somehow I got distracted by the Bella Rose paper on the floor:) I am still determined to try the card using the plan I had previously come up with, but it will have to wait! For some reason this card was next to impossible to photograph in my white box. The flash made the whole thing white and the without the flash it didn't even look like the same card. If anyone has any amazing suggestions for photography, please feel free to let me know! Appalling as this may sound, in the process of getting ready for Lucas' birthday, the last thing to be completed was his card! Somehow the cake just seemed to take precedent! I guess at his age, I also know how little time is spent by him looking at his cards. Therefore, when I tell you that I realized at 9pm the night before his real birthday that I had no card, I hope you won't think I'm an awful mom! My husband said not to worry, and although I know Lucas won't notice now, I've kept all of their birthday cards from immediate family since they were born! I know that my darling second child would see it as some sign that I loved him less when he realizes in the anxst of his teens that I didn't make him a third birthday card:) Can you tell from this comment that I am the middle child of three (teehee). Anyway, I headed downstairs to my "haven" and decided that it was not the time to spend an hour creating. I went to Splitcoast and found this card. I cased it DIRECTLY! This is the Party Hearty stamp set. Looking at it now, I really wish that I had rolled the background squares with my Happy, Happy Birthday Stampin' Around stamp for a little extra something. I do love the simplicity of this card though, and it makes use of all of the In Colours with the exception of Pink Pirouette. I think that by taking out the Pacific Point and replacing it with the pink, and possibly changing the circles under the "Party hearty" as well as the star to flowers, that this could be a great girls' card as well...hmmm...maybe this is my job for tonight! I will admit that I had never been a fan of the Rub-On prior to becoming a Stampin' Up demo. I decided that if I was going to sell something, I'd better make sure I knew how to use them. I am now a bit of a sucker for them. They are fabulous for decorating things that I wouldn't normally stamp on, and they are also the perfect solution when you need a quick card or tag and don't have the time to sit down and set up the stamp table. Starting today, when you purchase $20 or more of Stampin' Up products, you are eligible to purchase as many packages of the Rub-Ons as you like at the 20% discount! This will apply to club orders too so make sure that you add it on to your club order when you send it to me this month! Okay, I was going to wait until December to run this class, but I am so excited about it that I can't wait! For the first time I decided to purchase one of the Accents and Elements Tins and I am in love! I was already a bit biased because I adore the Urban Garden DSP and it is based on many of the same images and the same colours. In my ongoing attempt to keep us all organized in the weeks leading up to Christmas, I am going to take care of all of those imposssible gifts for you. This will cover hostess gifts for the upcoming holiday season parties as well as gifts for teachers, coaches etc. There is nothing better than having a selection of cards at home when an event like a birthday comes up. We will make three stationery folders in this class and one set of six cards. You wil go home with the supplies to finish the other 12 cards (6 per folder). You could easily finish all 18 cards in class, but I know how much you all talk, so I'm going to be realistic here:) You will need to finish all stamping and punching here and then take them home for assembly. *Note that the cost of the class is cheaper than buying the products individually with taxes and shipping! Limited to 6 spaces! First six to email or call me get the spots! I was so excited to finally be able to use my Big Shot Pennant Die. Sticking with the colours of Lucas' Thomas Birthday Party, I made his banner using Pacific Point and Real Red and the coordinating ribbons. I can't believe how easy it was or how professional it looked! The best part is that this can be put away for next year, or I could even make the rest of the names for our family and use the first two strings along with the changeable names for each of our birthdays. I'm now seeing visions of Happy Holiday or Merry Christmas Banners to put in my front window! Just because I am feeling so giddy about this accomplishment, I will be offering 20% off of the Pennant Die and other accessories needed to make these banners (taxes and shipping** calculated on the regular price)* for the next three days! I bet you're asking why I chose three days... well it's Lucas' third birthday of course! I will be placing an order on November 12th so make sure that you get your order in before 6pm that day! *This discount does not apply to orders placed through online ordering, only those orders placed directly through me via phone or email will receive this discount. **Shipping is $9.95 for all orders of $100 or less unless you are picking it up from me, otherwise it is 10% of merchandise cost before discount. ***Unfortunately I am only able to sell and ship these items to customers living in Canada. I don't know where three years ago but my baby is three today! Sometimes it is scary when you look back and realize how much has happened in what seemed to be such a shore period of time. After humming and hawing, Lucas finally decided on a Thomas the Train themed birthday party. Although I loved the idea, (cake was relatively easy to decorate), I was kind of bummed as I don't have any train stamps! How pathetic is it that I plan my kids' parties around what I'll be able to stamp??? I convinced Joe to have a Pirate Party last year as I had just purchased my Ahoy Matey stamp set:) I decidd to make the best of Lucas' choice and put my Pacific Point paper to work. The colour has never really grabbed me, but I must admit that the Pacific Point along with the Real Red is Thomas to a t! I'll post his goody bags later! More from the "Faux" World! Here are some other samples, along with my brother-in-law's card, of the faux embossing technique. The card in the back left is almost a direct case of a card that I had seen done by Emma Fewkes. I loved her colour choice. I never seem to use my Mellow Moss and once I pulled it out it gave me the inspiration for the Organizc Outlines Card which was a combo of Always Artichoke and Mellow Moss. I think that my next go at this technique may have to have a Christmas influence. I came across this idea on Patty Bennett's Blog the other day and I absolutely loved it! I love the idea of making something that can be used year to year and stores easily. I decided to give it a whirl and instead of recreating the wheel, I cased Patty's to decide whether or not I truly liked the final product! It's awesome! Unfortunately my family will be sick of it by the time that Christmas is over as I refuse to put it down between now and then. It will just move back and forth between my mantle and the China cabinet hutch. I made mine using the small size of the On Board Book Basics. When extended, it is just over 24 inches long, but it ties up in a neat little book when it's time to put it away. When Lucas' birthday is over this Saturday, I fully intend to make a few more using different holiday papers and embellishments. (note the Faux metal tag on the front:) Possible early December class?????? Over the past couple of days my stamping times seem to be very short and often interrupted. So, instead of getting involved in some elaborate project I thought that I would try a few new techniques. The first was the Faux Metal technique that I used to make the little embellishment with the Designer Label Punch. I was definitely impreessed with the results; it actually looks like metal. The best part is that it doesn't cost a fortune and can be done in a matter of minutes. The second technique that I decided to try was the Punch Star. I know it is difficult to comprehend, but these stars were made using the two sizes of the gift tag punch! The only other things that I needed were some cardstock, some vellum, some two way glue and some dazzling diamonds glitter. With these two little experiments sitting on my desk, I decided that I couldn't waste them and instead put them to use on a rather simple card. I realized that the stars coordinated with the colours in the Ski Slope DSP so I thought I'd put my unopened package to use. What do you think of the card? Now I just want to create cards with this DSP; I didn't realize how gorgeous the prints in the package were! Wait until you see what I got started on! Hopefully I'll finish it up tonight and be able to post tomorrow! Country Living Holiday Collection Stampin' Kit is here! Today you can officially start ordering this amazing Christmas Kit from me! This is the kit as advertised in the Country Living Magazine. It is perfect for making all of your homemade personalized decorations. 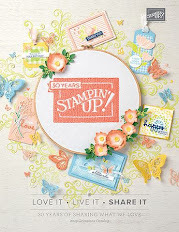 By clicking on the image you will be taken directly to Stampin' Up's flyer on this promotion. It is a great deal when you have a look at all of the amazing things in this kit! As a demo, one of the perks is that we get to order items early, so I already have mine and it is fabulous!